The backcountry of New Zealand holds a special place in the heart of all Kiwis. 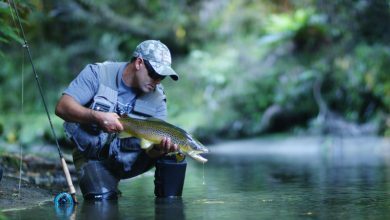 "Going bush" is a national past-time, and Kiwi fly fishers like nothing better than the sun on their backpack, the cold touch of a mountain stream and the opportunity of sight fishing to giant trout in pristine settings. These two films explore a number of backcountry fisheries with anglers who exude a profound connection to the wilderness. The cast of the film is as extensive and varied as the landscapes explored. In the end it is dedicated, inspired people will ensure that the spirit of the backcountry will thrive, preserving a world that we are proud to hand over to those who come after us. The backcountry of New Zealand holds a special place in the heart of all Kiwis. 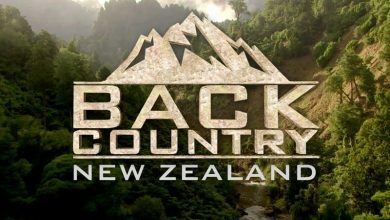 “Going bush” is a national past time, and Kiwi fly fishers like nothing better than the sun on their backpack, the cold touch of a mountain stream and the opportunity to sight fishing to giant trout in pristine settings.The film follows six fly fishermen as they each explore a treasured corner of the South Island. 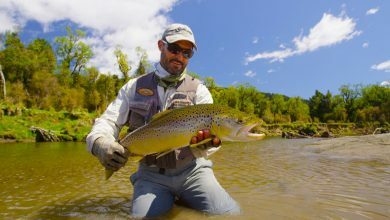 This land of volcanoes, gorges and forests provides an epic backdrop for some of the best trout fishing on the planet. As each story weaves into the fabric of the film it becomes evident that, despite their differences, the characters are all bound together by their passion for the back country.